If you have any questions, concerns, or comments regarding Weight Loss Institute of Arizona, please fill out the short contact form below. "I must say that I had a very positive experience with Weight Loss Institute of Arizona. The staff here is very knowledgeable and professional. " "I have been overweight a majority of my life with several medical issues. After I got the gastric sleeve, I have noticed a huge change in my life. Thank you WLIA!" "I love this place. 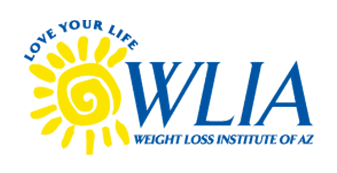 You definitely still have to advocate for yourself and put in the hard work, but if you're serious about changing your life, WLIA has your back!" "Amazing friendly staff that goes the distance to inform clients. I am happy I found this place." "Weight Loss Institute of Arizona has the best Bariatric Surgeons you can find. I am forever grateful I chose them! "I cannot stress enough that these are the people you want to talk to if you're interested in any type of bariatric surgery." "My husband and I chose a consultation with WLIA for lap-band surgery based off the recommendations from other nurses and they were right! We made the right choice 100%"
"These doctors saved my wife's life. We owe the WLIA everything!"